Christian Heidel has helped take 1. FSV Mainz 05, the club he supported as a boy, from Germany's football backwaters to the brink of the UEFA Champions League. There is always a man in the shadows, pulling the strings, orchestrating the deals, fitting together the pieces that shape a side and build a successful football club. The man who has done - and is still doing - that at 1. FSV Mainz 05 is Christian Heidel. Two of his former coaches Jürgen Klopp and Thomas Tuchel are setting the Europa League alight this season and Mainz are on course to follow. Jürgen Klopp, Thomas Tuchel, Martin Schmidt, Andre Schürrle, Johannes Geis and Yoshinori Muto are all names that spring to mind much more readily than that of Heidel when 'Mainz' is mentioned. Yet without the confidence of the club's long-serving sporting director, their names may not have become known beyond the confines of this modest Rhineland-Palatinate outfit whose growth has been fuelled by their architect-in-chief's homegrown passion. "I was born in this city, have my roots here and am deeply connected to this club," said Heidel, who was watching his heroes from the terraces long before he had dreams of actively shaping their destiny. 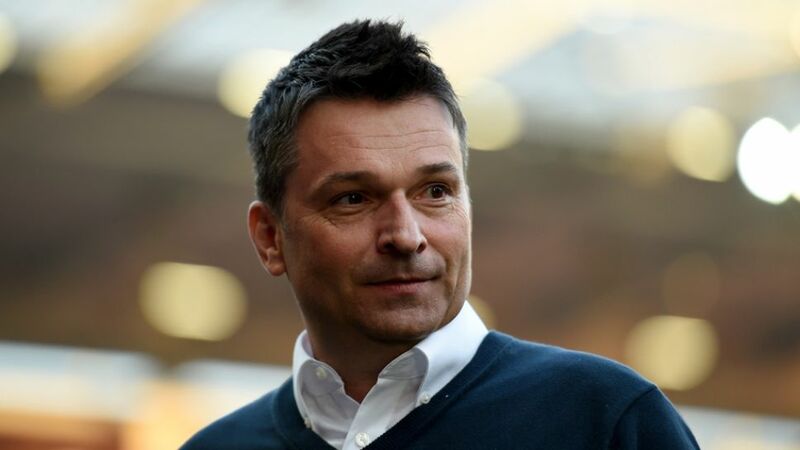 "My work at Mainz 05 is – as someone from Mainz – not only my job, but really a labour of love."